This salad goes well mainly as a side salad for the main Thai dishes. Only five ingredients make this salad outstanding in its taste. 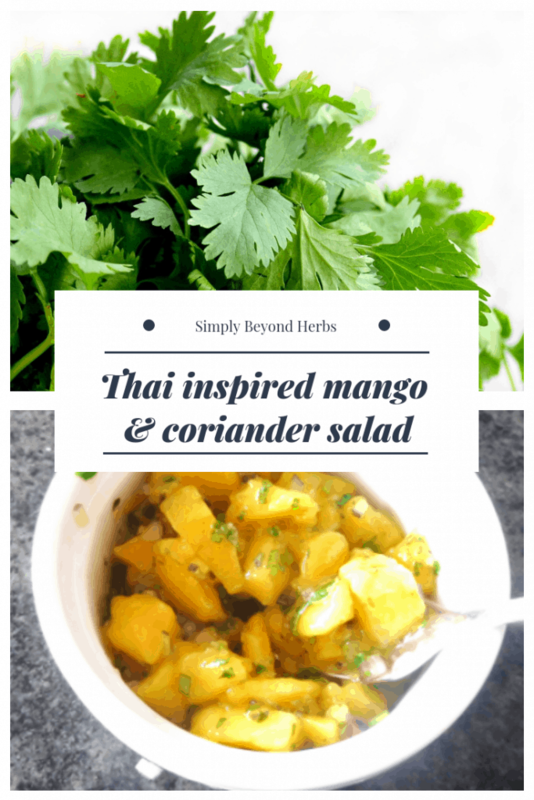 This salad couldn’t be accomplished without coriander. Coriander known also as Cilantro in America is an herb with a pleasant aroma that is packed with potential health benefits. Coriander is extensively used around the world as a condiment, garnish, or decoration on culinary dishes. This herb is used in the treatment of skin inflammation, high cholesterol levels, diarrhea, mouth ulcers, anemia, indigestion, menstrual disorders, it also lowers blood sugar and decreases blood pressure. 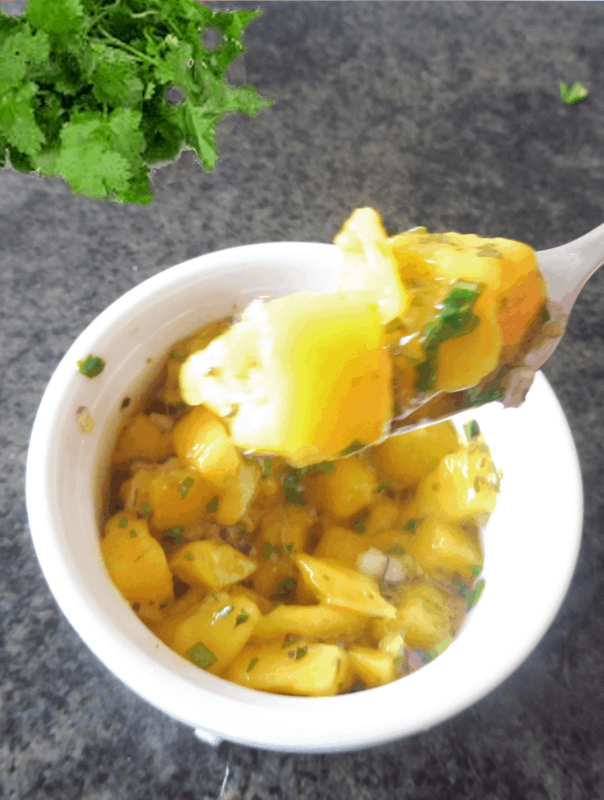 Chop the mangoes, red onions and coriander. Combine all with lime and fish sauce in a bowl. Adjust the saltiness to taste with the fish sauce; and acidity with lime. Optionally you can add sugar if mangoes are not sweet enough. Keep in the fridge for an hour or two to develop the taste. Make sure that the mango you purchased is tasteful as the whole salad depends on the mango quality and taste.